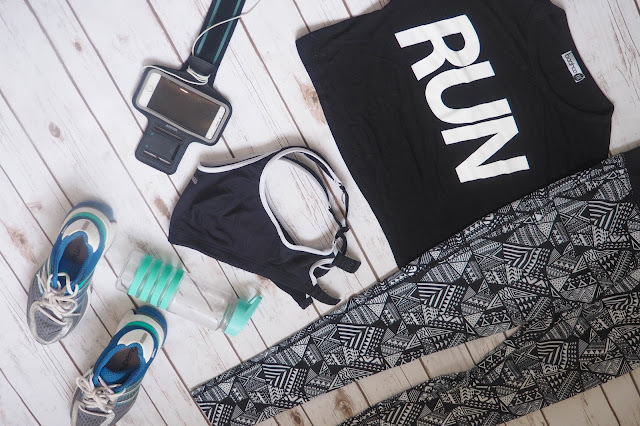 I'm sure recently I've banged on enough about how I'm trying to get a little fitter, so I'll try not to go on about that part too much now, instead, I want to talk about what I'm putting on before heading out the door for a run. When I go for a run I want to feel comfortable, but I also want to like what I'm wearing. 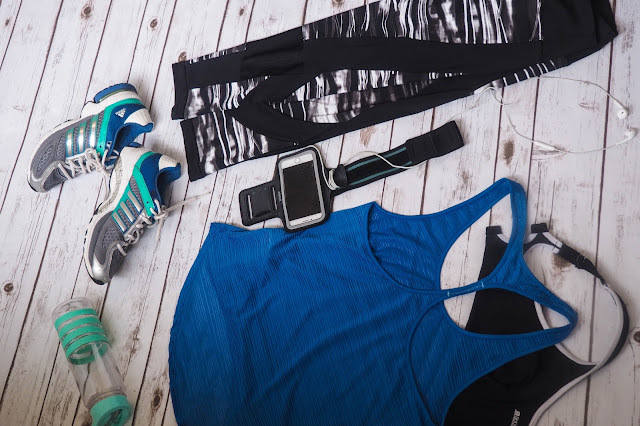 When I went looking for work out clothes, I didn't want to spend too much as I'm not madly into fitness, so it kind of seemed like a waste of money. In the end, I think I got some pretty good pieces without breaking the bank, so I thought I'd share three of the different outfit I've been enjoying wearing for a run. Before we get into it, I'll be honest, this post is a bit of a tease - when I got to adding the links, I realised a lot of these products are no longer available, but I've done my best to link similar products which you will hopefully find helpful. With each of these outfits I've included some workout essentials, my iPhone with headphones, so I can listen to music and use my run keeper app, an arm strap for my phone because I need somewhere to put my phone, my Shock Absorber sports bra, the only one which I've found to keep my bigger bust in check while I'm exercising, my m&s water bottle (similar linked) and my Adidas trainers (no longer available, similar here), they may not be the coolest looking but they give the support and comfort I need during my workout. 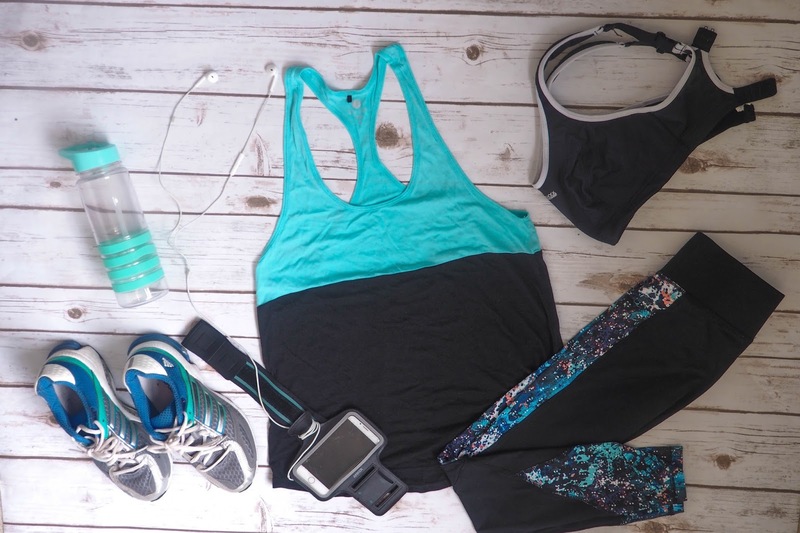 What do you like to throw on for your workout?